This is our second post today. Please scroll down for the first. Use your Spellbinder shapes to create a background as I have here with squares and Parisian Accents. 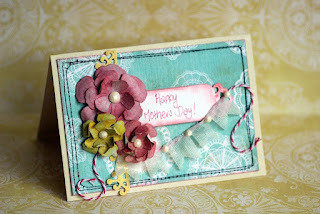 Lacy and intricate dies are just great for a perfect feminine layout. 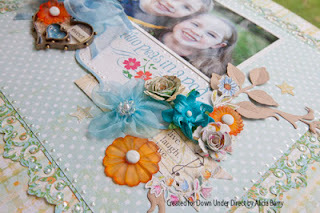 Today is Sue's final day on the Design Team so we thought we would share a few of her lovely creations with you. We'll have another post later today. 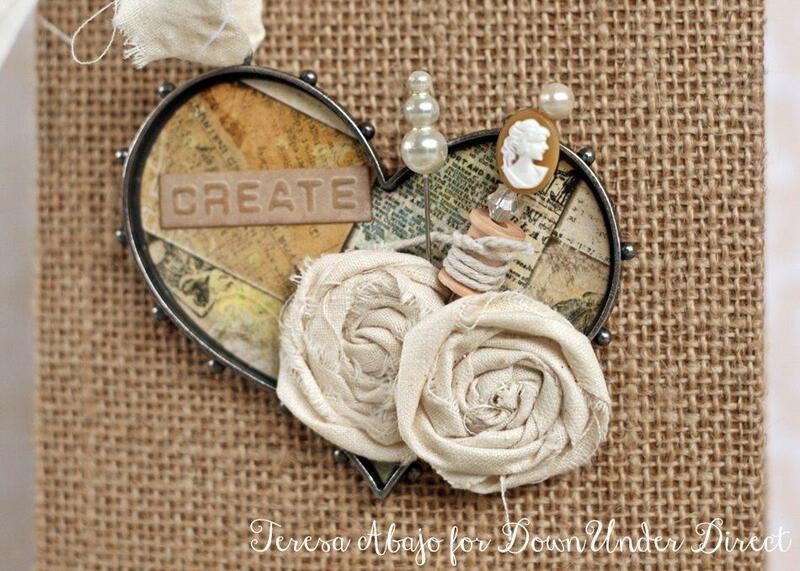 This mini frame is as cute as a button, a lovely idea as a small gift or place card for a special occasion. 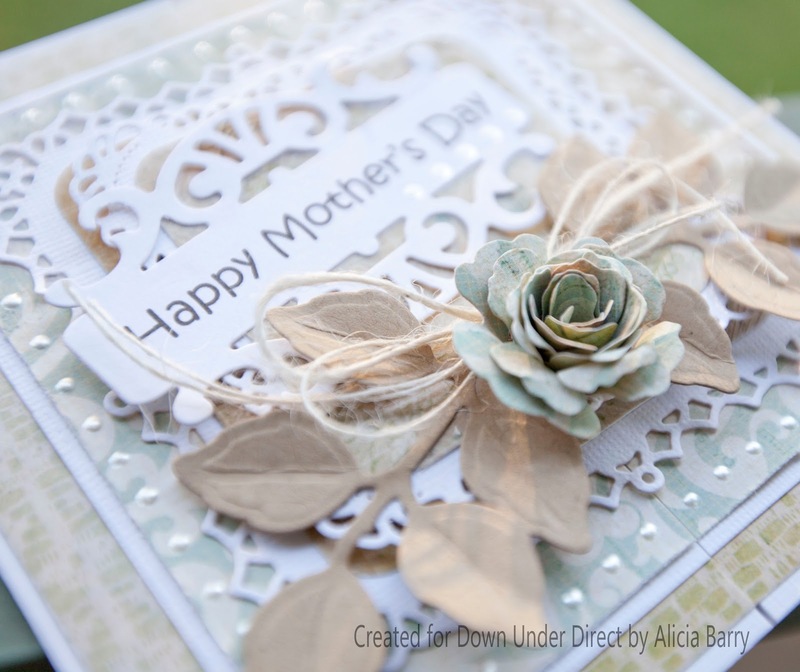 Here are a couple of lovely cards from Alicia that I didn't get posted in time for Mother's Day. 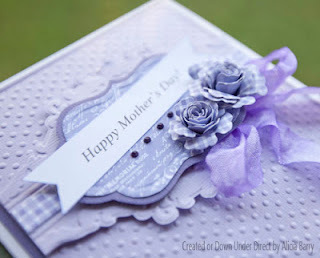 Although the greeting is Mother's Day you could substitute that for a happy birthday or another all occasion greeting. 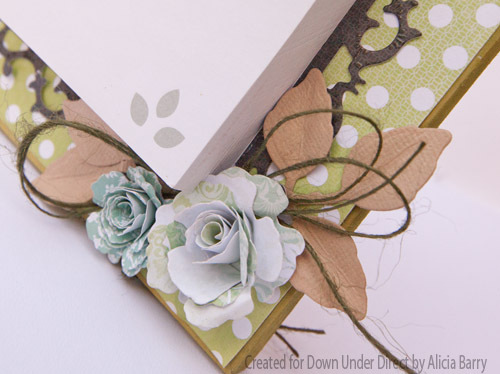 Try using some of your left overs for your next present wrapping project. For this one the Just Rite background stamp adds that perfect bit of grunge for an 8yr old’s birthday present. 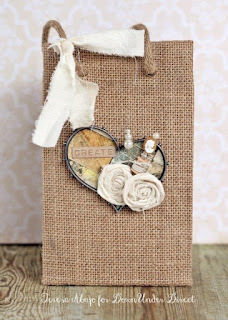 I had this hessian gift bag I thought looked a little plain. 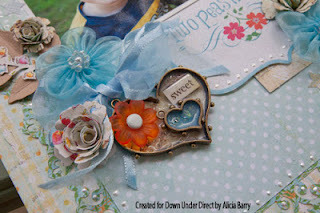 It was sturdy enough to hold the weight of the new heart bezel as a tag. 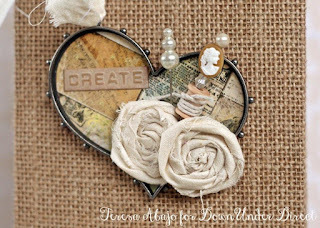 I used a couple of handmade rolled roses to decorate the heart. Here is a step-by-step showing how I made them. 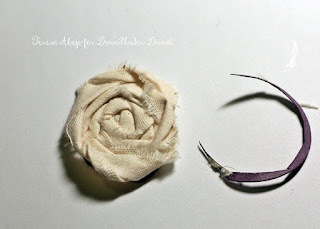 Cut a circle approximately the size of the required rose. 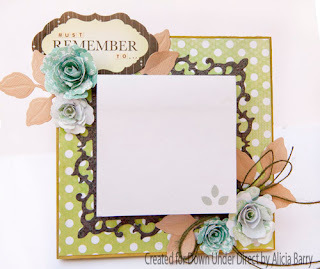 The colour of the cardstock is not important as it will be entirely covered up. You'll also need a half inch strip of calico that's about 60-70 cm long. 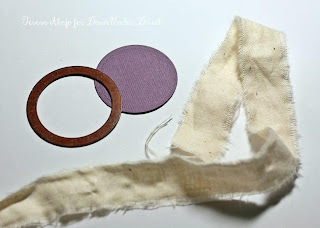 I tore this off a larger piece, hence the rough frayed edges. 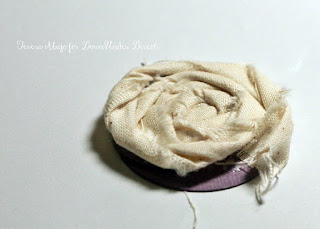 Staple one end of the fabric strip to the centre of the circle. Twist the fabric strip - loosely for a shabby flower and tightly for a neater look. Wind the twisted fabric around the centre. 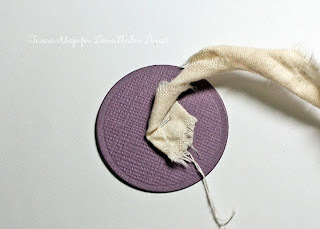 Apply some adhesive (I have used PVA here) around the cardstock circle to secure the twisted fabric as you go. 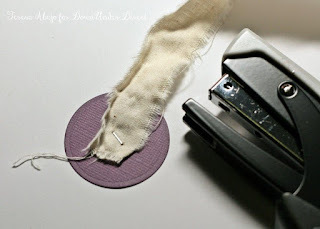 There may be some cardstock showing when you reach the end of the fabric. Simply trim this away with scissors. 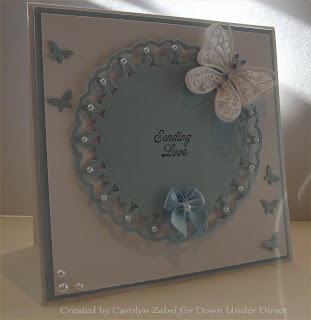 Cheerful butterflies compliment this card which could be used for many occasions with the “sending Love” sentiment. 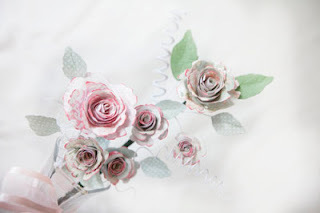 With the help of a little mesh tape and Rose creations you can create awesome textured flowers. It’s easy to get a card out of a few left-overs, next time you have finished a Scrapbooking layout, give it a go! My girls are at an age where they like to give items of jewellery as gifts for friends, so I decorated this teeny little box with some bright papers to make the gift a bit more special. 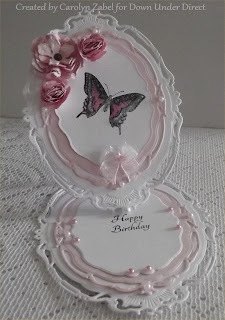 I started with a clear pillow box, added a strip of purple cardstock with a decorative edge, some very bright stripey paper, a beautiful satin bow, a flower and lastly a little tag. It couldn't be cuter! If I had more patience, these would make terrific wedding favours - but you know me - I’m a one-off type of gal. Here is a layout incorporating some of the latest Media Mixage elements. Pre folded Step cards are the perfect start to make a special card. 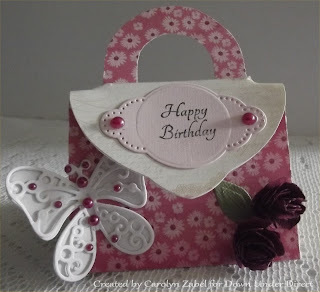 This little gift purse would be perfect to hold a gift card or cash for a birthday. The possibilities could be endless in what you could pop inside. 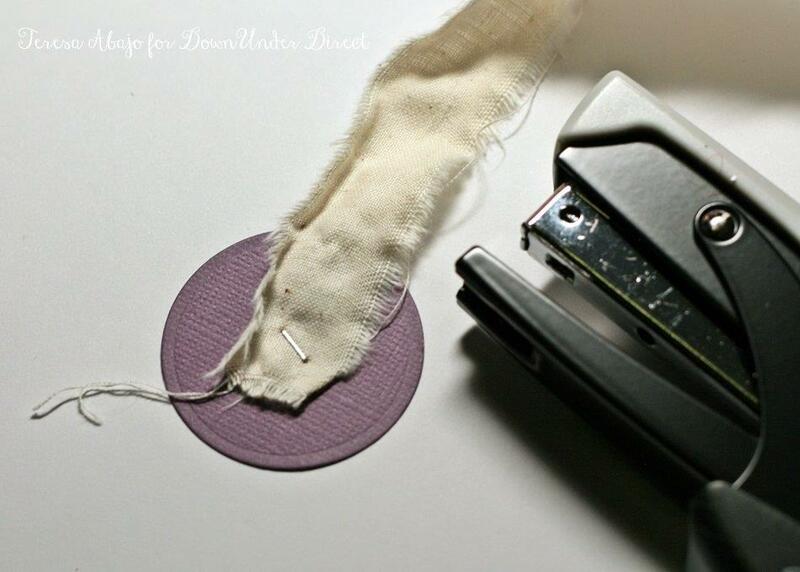 This idea works well with any reasonably intricate die. 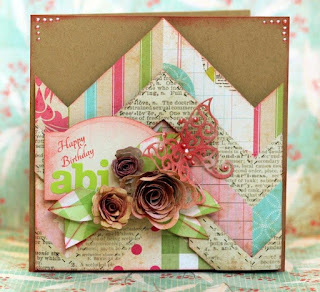 For best effect, choose cardstock colours that contrast well against each other. 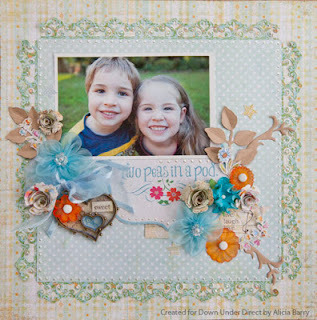 Spellbinders dies make shaped easel cards so simple. Spellbinders Foliage Two has so many leaf designs that are really versatile in making a wreath style card. Welcome to Tutorial Tuesday. 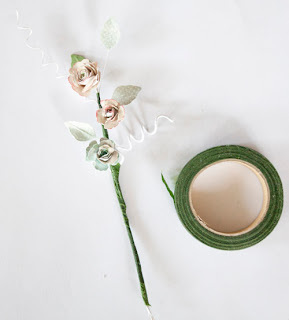 Today Alicia shares a floral vine made from Spiral Blossom. 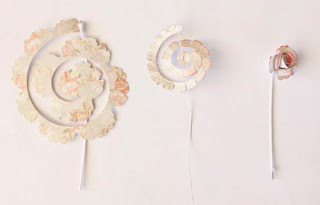 Die cut a variety of spiral blossoms. 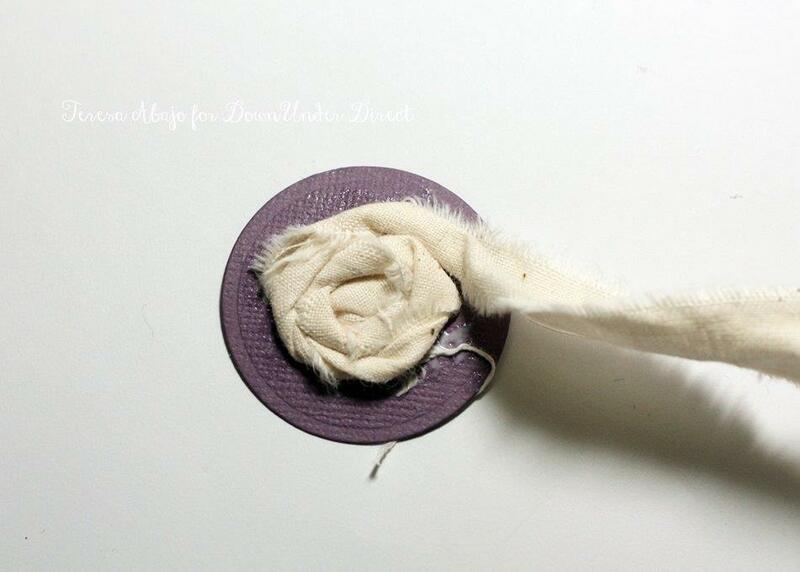 Adhere floral wire to the end of the spiral and poke hole into the base. Allow to dry, then thread the wire into the hole before rolling up the flower and securing with adhesive. 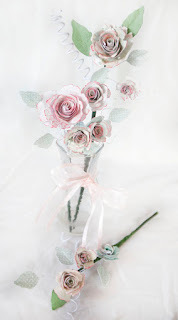 Repeat for each flower. 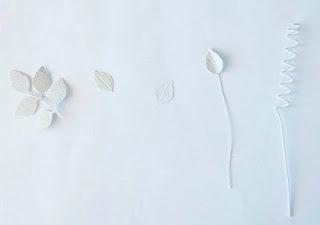 Cut the foliage die cut into individual leaves. Adhere matching leaves back to back, with a section of thin wire sandwiched between them. Create curls by wrapping wire around a pencil. 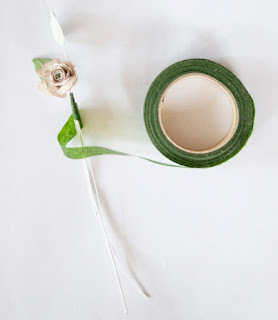 Gather your first 2-3 pieces and begin wrapping floral tape from the top down, to secure them together. Add extra flowers, leaves and curls one a time, including it into the floral tape. Continue until all your pieces have been included into the vine. Adhere the floral tape at the end. 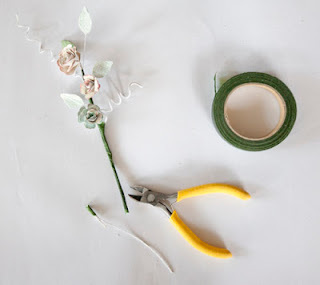 Use wire cutters to trim the base of the vine. 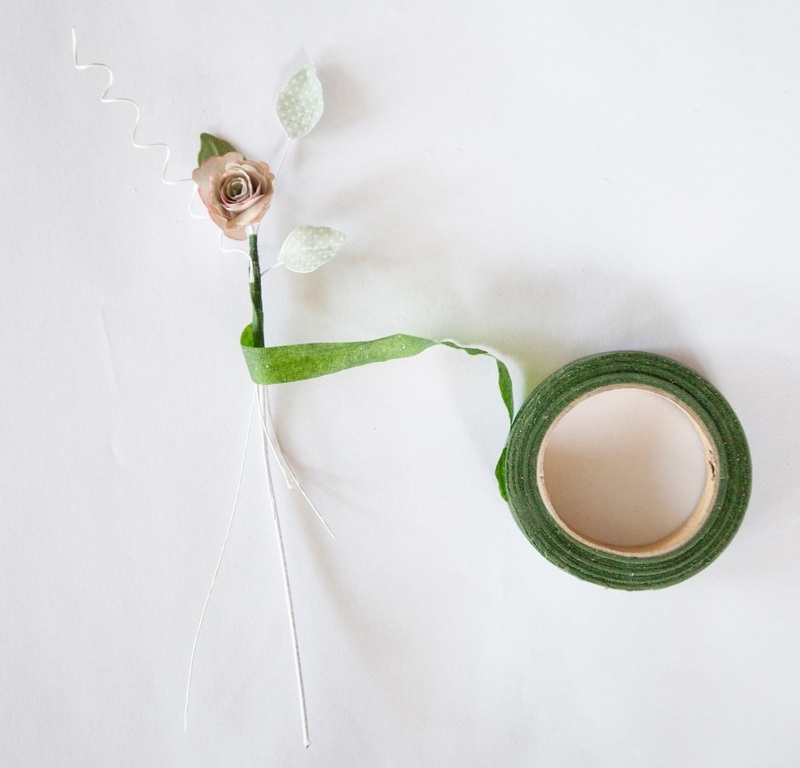 Manipulate each piece by bending the wire until you are happy with the way the vine sits. Gelatos are a great product to team up with your patterned papers and they come up so well on the white Bazzill cardstock. 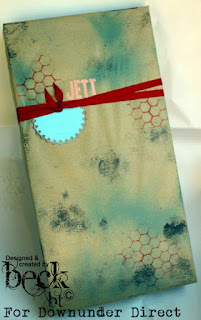 I have used it here to spray as well as create drips. I love that you can choose any colours as well as blending to compliment the pattern paper you are using. We recently attended a wedding where they had a photobooth for the guests' entertainment. Oh boy did we have some fun with it! 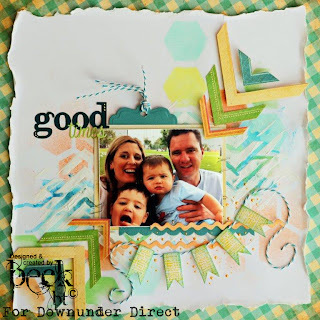 For this layout, I made a stencil with the Grateful Lattice die, and sponged some white paint through it. I then added spatters of pink and silver Glimmermist to complete the background. This all fits with the 'messy' mood of the photos. 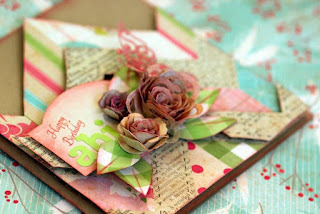 I cut away some of the edge with the zig-zag Edgeabilities die to leave me room for a little journaling. 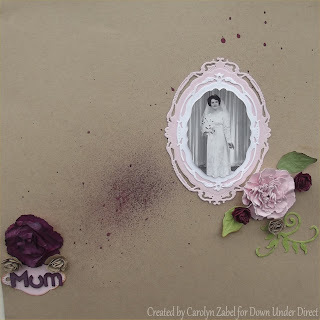 With Mother's Day this weekend here is another mum inspired project. Here we have clever idea for a Post-it note holder made from timber photo frame. 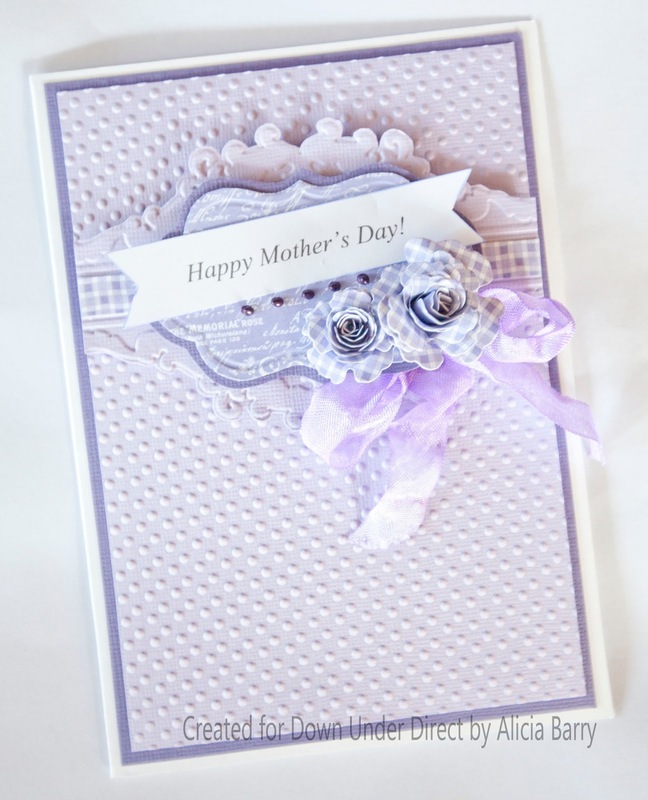 Mother's Day isn't too far away now. 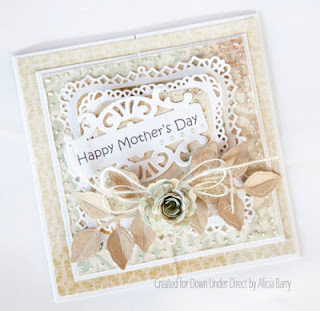 If you haven't got your card sorted yet here is a lovely idea from Beck. Mother’s mean the world to us, and mine does especially. I enjoyed creating this special card for her using some of the most divine papers. 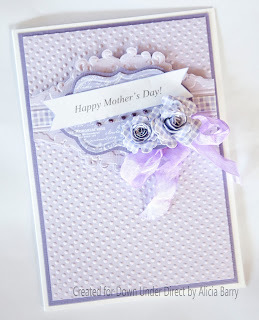 This is our second post today, please scroll down for another lovely card from Teresa. This card has been given an plush look with copious buttons and just a touch of bling. 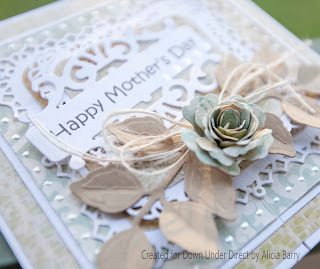 The embossed calico piece adds interest too. 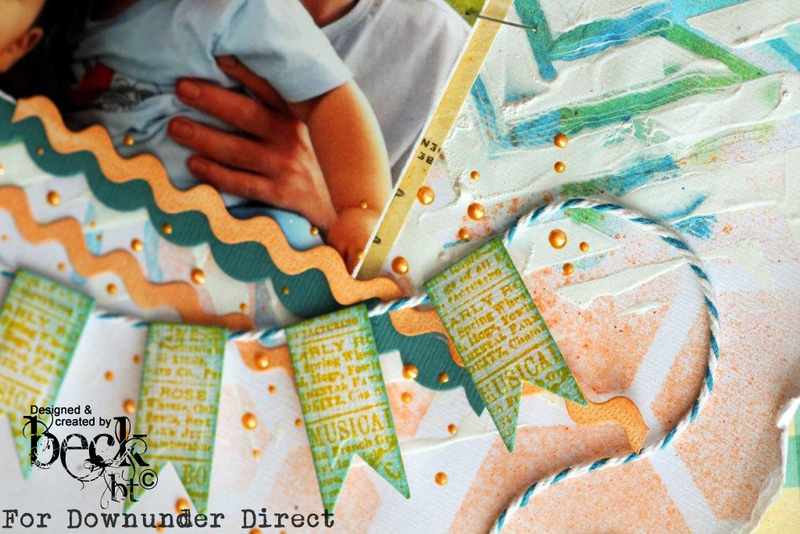 I glued the fabric to some cardstock, then embossed it as the fabric obviously won't hold its shape on its own.